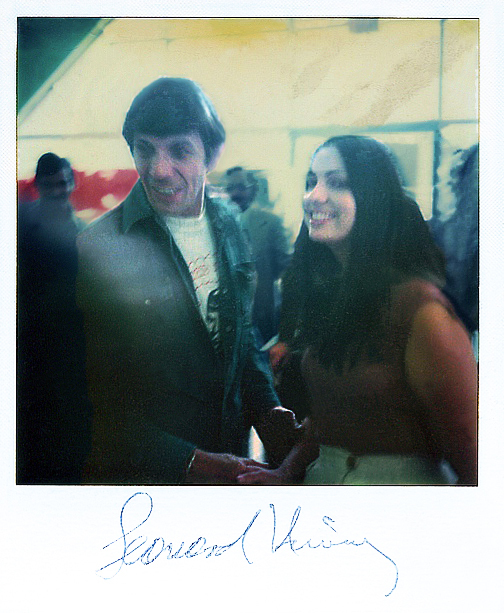 Going through some files, I came across many pictures of Nimoy with fans, and these were back in the before time, you know, the 60’s and 70’s, before the expensive meet-and-greets of modern conventions. When you think about it, there must have been thousands like these, and Leonard never forgot where his fame came from, and was always nice and generous with his time to the fans, even when it was overwhelming! 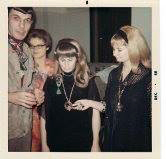 I hope I’ll find more candids like this, and if you or anyone you know has a story of photo of themselves meeting Leonard Nimoy, please join my new Facebook Group here https://www.facebook.com/groups/833569276690890/ and you can post them there. We have over 50 members already! At a music store, @ 1967 or ’68. I love the sales girl’s smirk. Sorry this is so tiny; the only size I could find. 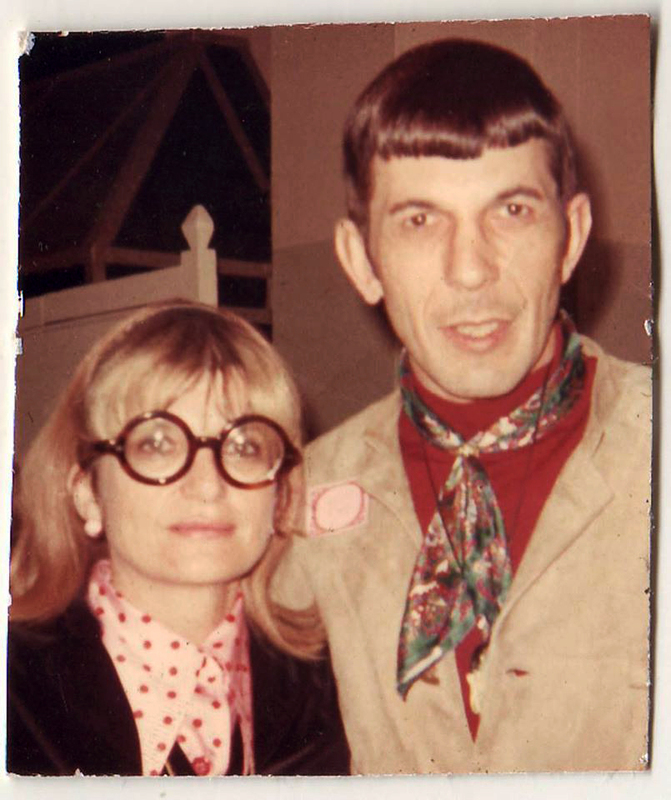 I believe this photo was taken at the same event, (Leonard with Sandi) from his groovy outfit! 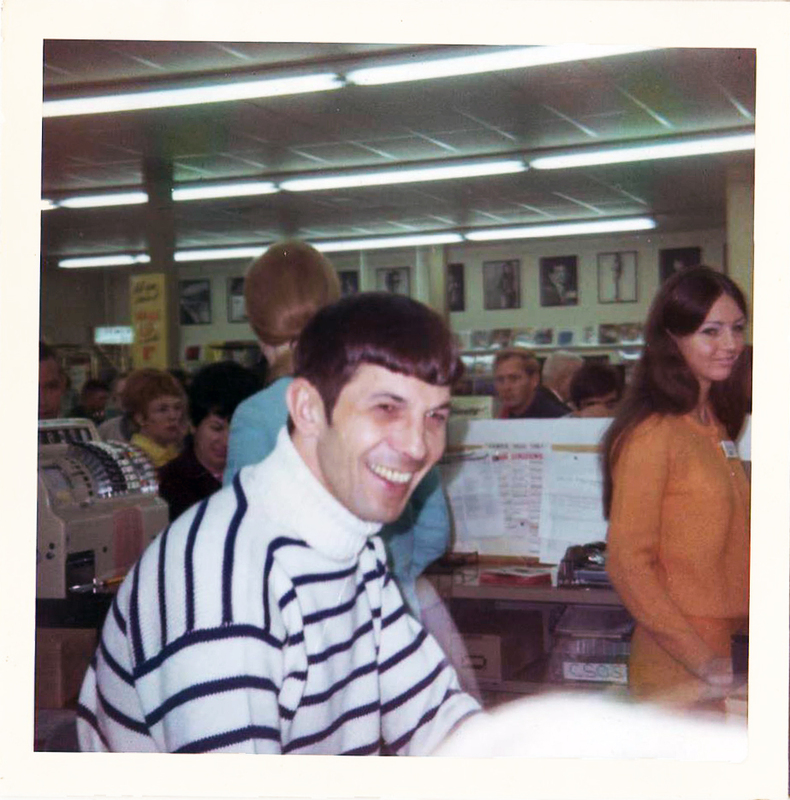 I’m believe this is mid-70’s — note: Nimoy is wearing the famous Spock Tee shirt with “Who is Leonard Nimoy?” on it! 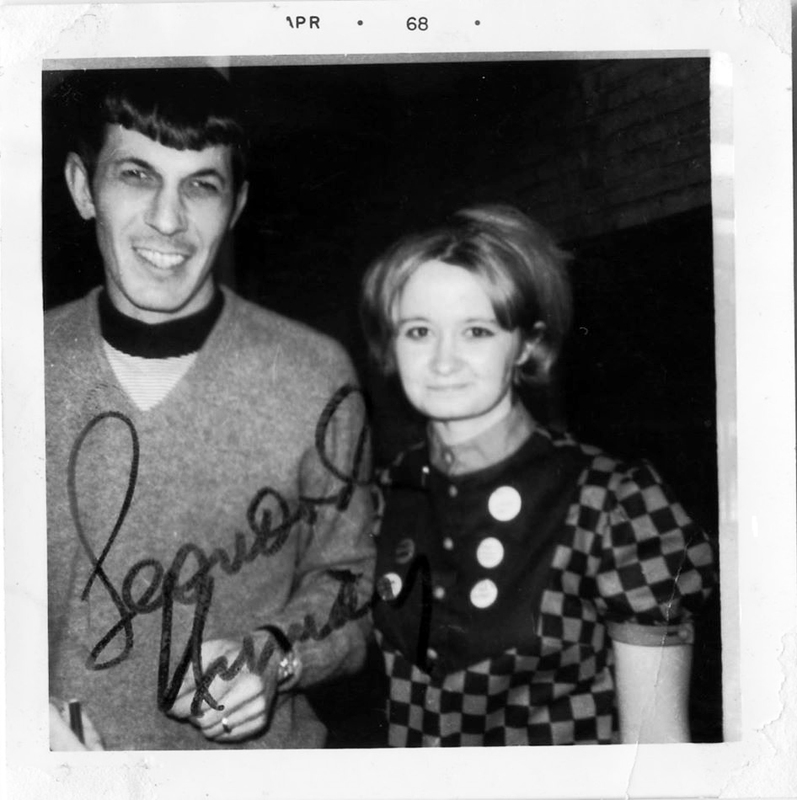 This entry was posted in Leonard Nimoy, My Weekly Spock and tagged candids, fans, Leonard Nimoy, photos. Bookmark the permalink.